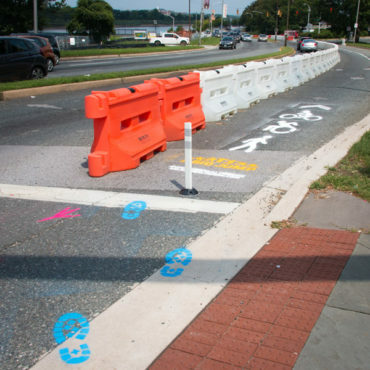 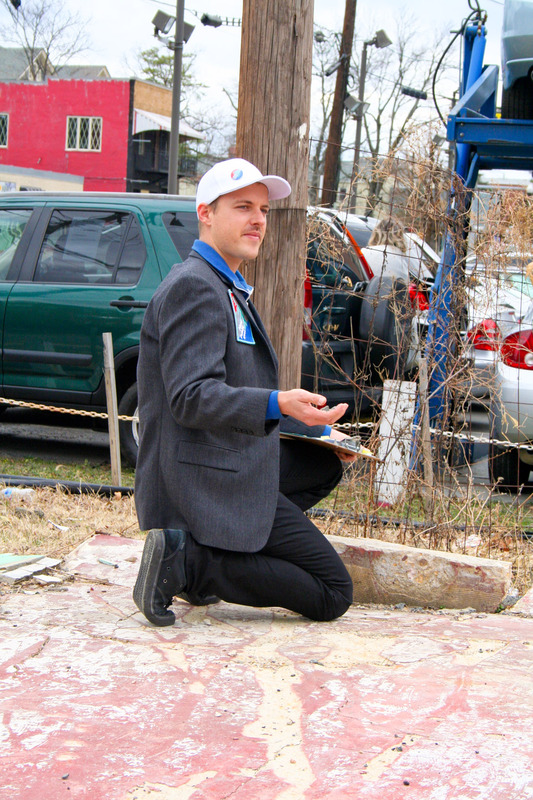 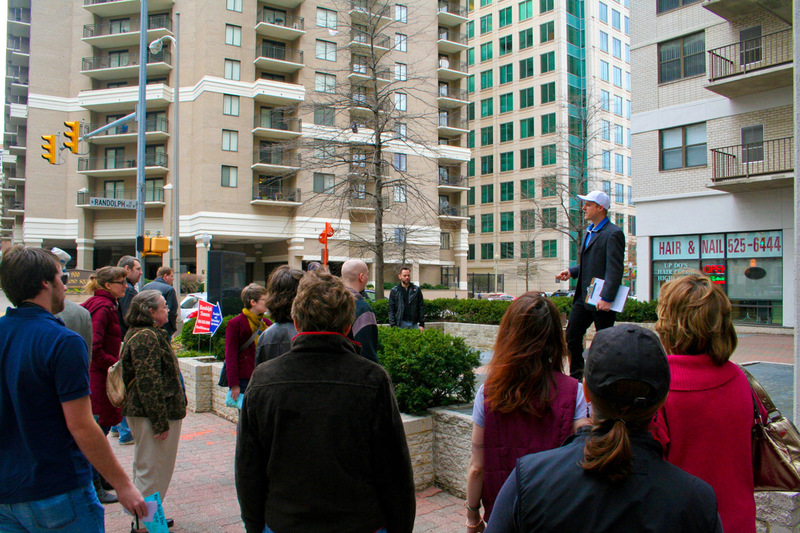 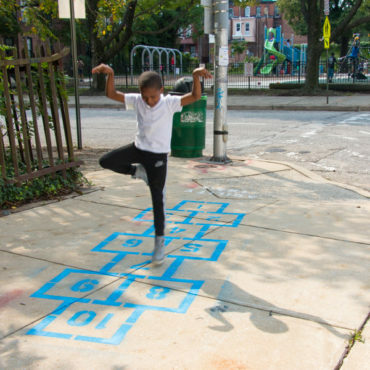 New Public Sites – Arlington Drift was a combination video/cartography installation and radical pedestrian walking tour that investigated some of the invisible sites and liminal zones within Arlington’s Ballston neighborhood. 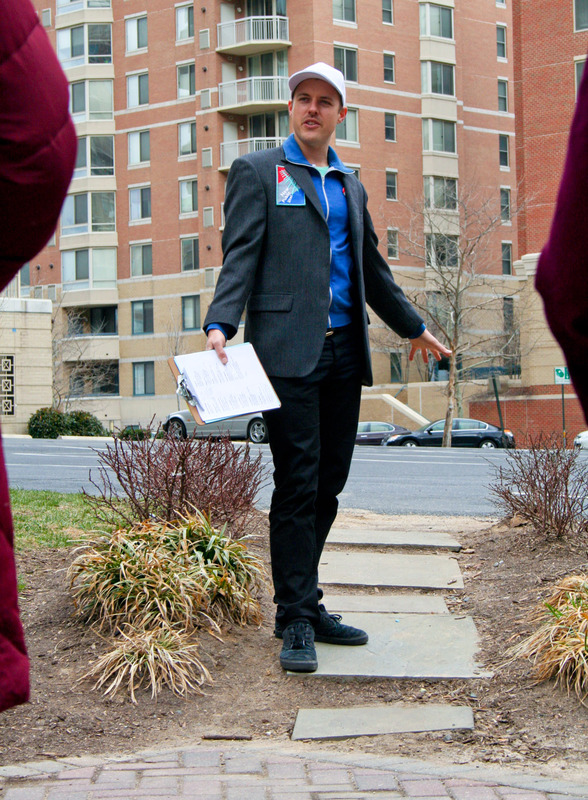 Dating back to the 19th century, the Ballston neighborhood lies due west of the Washington DC mall, across the Potomac River. 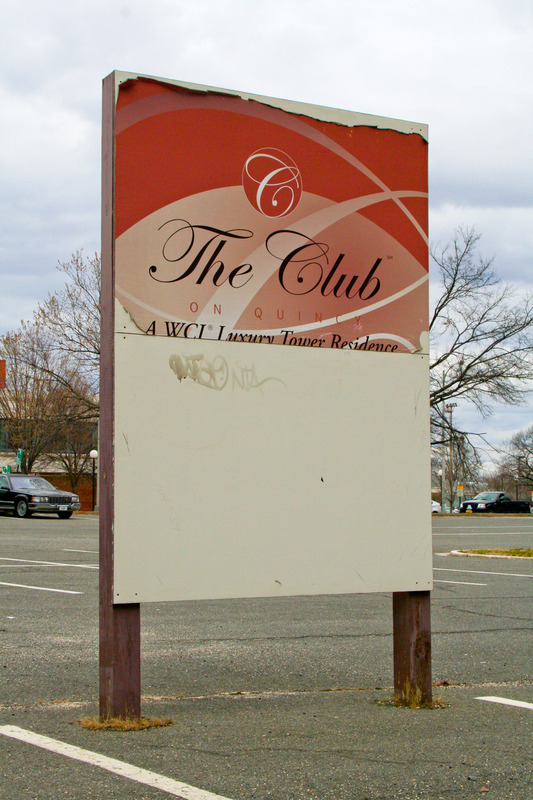 After the opening of the Ballston Metrorail station in 1979, the neighborhood began to go through successive waves of redevelopment and densification that resulted in what it is today – a collection of low-density suburban buildings and detached homes mixed with tall modern office buildings, including many government agencies, private companies and non-profits, apartment complexes and condominiums, the Ballston Common Mall, and many restaurants and bars. 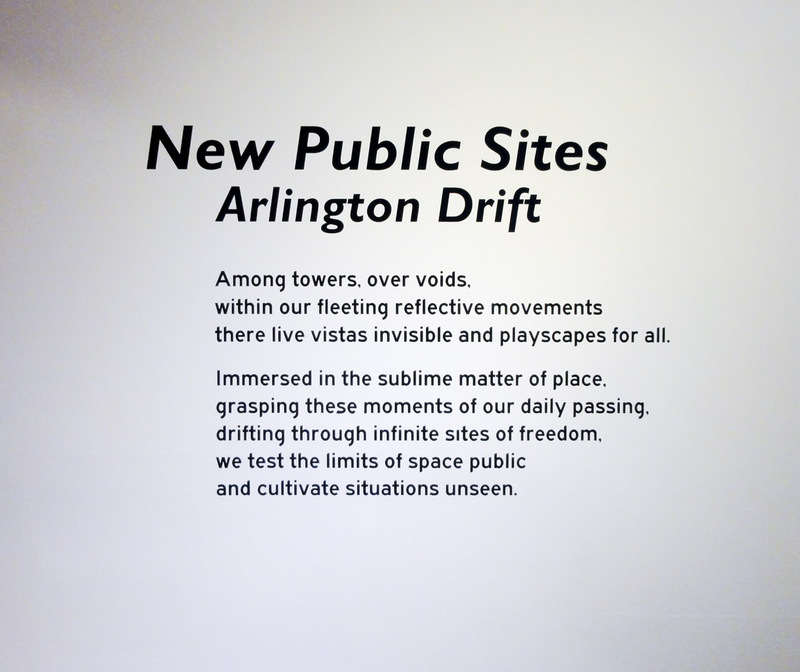 Situated within a black box gallery in the Arlington Art Center, the NPS-AD installation included an introductory wall text poem followed by a two-channel video/map projection plus two copies of The Typology of New Public Sites and a stack of free walking tour maps resting on the floor. 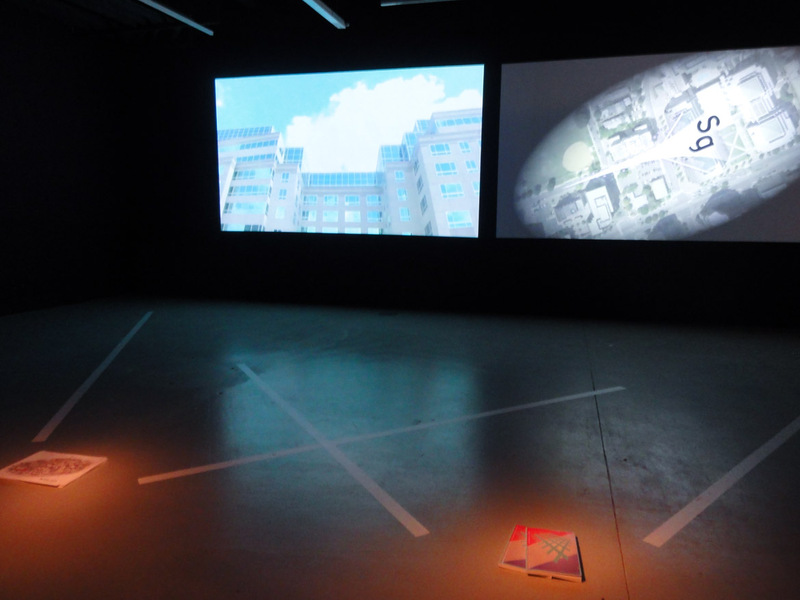 Two overlapping vista marks of white tape on the floor framed the participants’ interaction between the books, maps and videos. 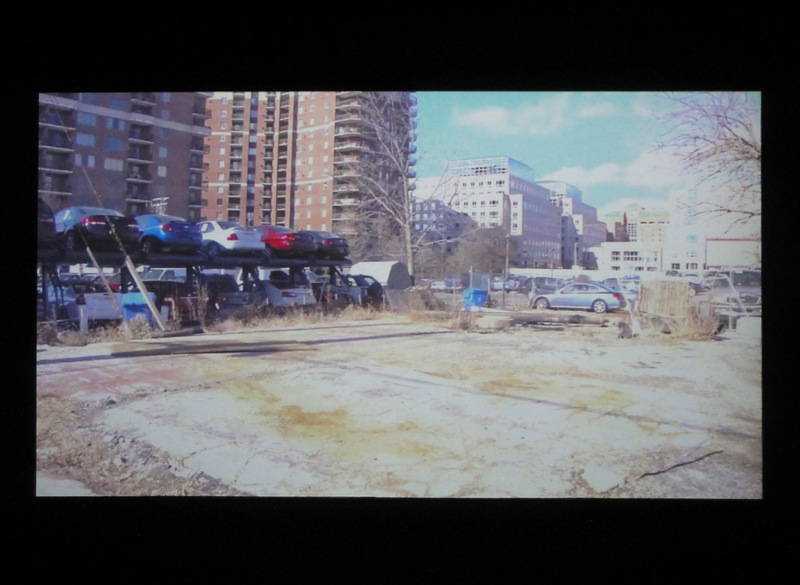 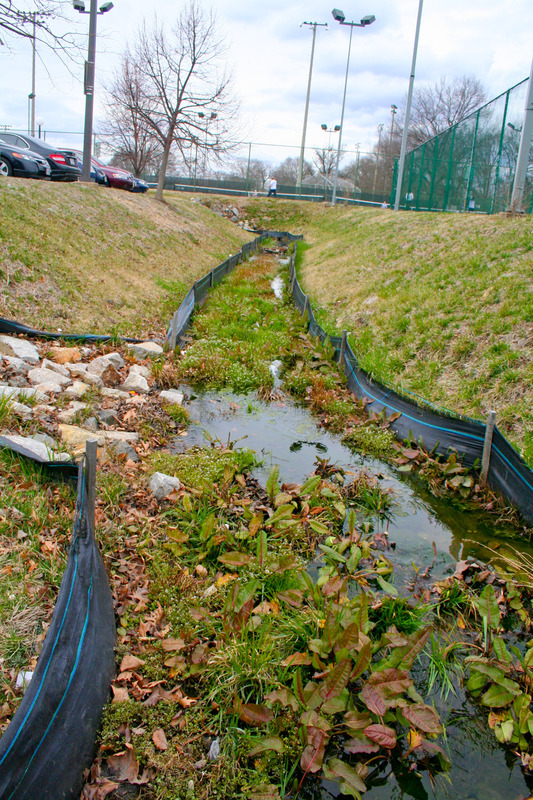 The two-channel video and free maps featured twelve select New Public Sites from the surrounding area, including four new additions to the NPS Typology – Perpendicular Extreme, HVAC Exhaling, Skygate, and Reflexive Moment. 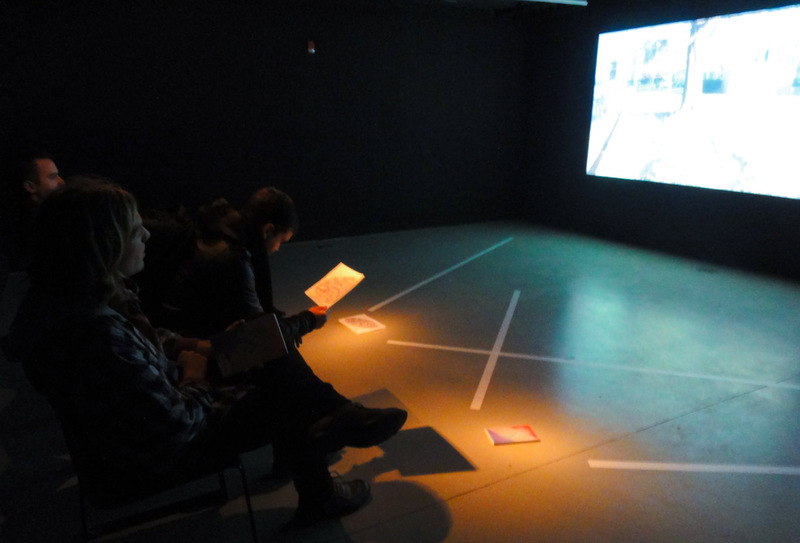 The one-minute long, looping videos featured a single shot of each site next to a detail map view with its corresponding NPS typological annotation and color-pattern classification and narrated by a voiceover of the NPS Typology definition. 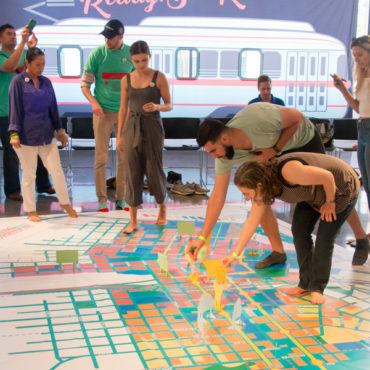 Participants could watch the videos while also examining a free map and learning more from the installation copies of The Typology of New Public Sites. 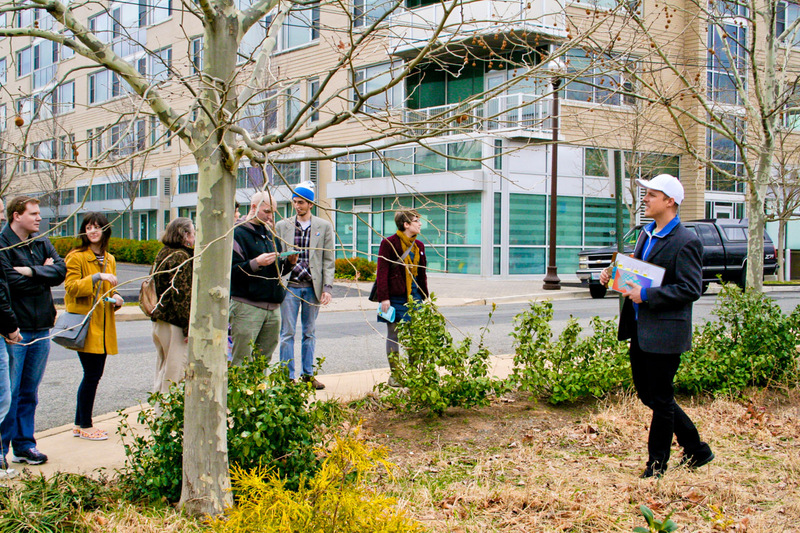 Beyond the gallery, participants were invited to explore the Ballston neighborhood on their own using the free maps provided in the gallery and available for download online. 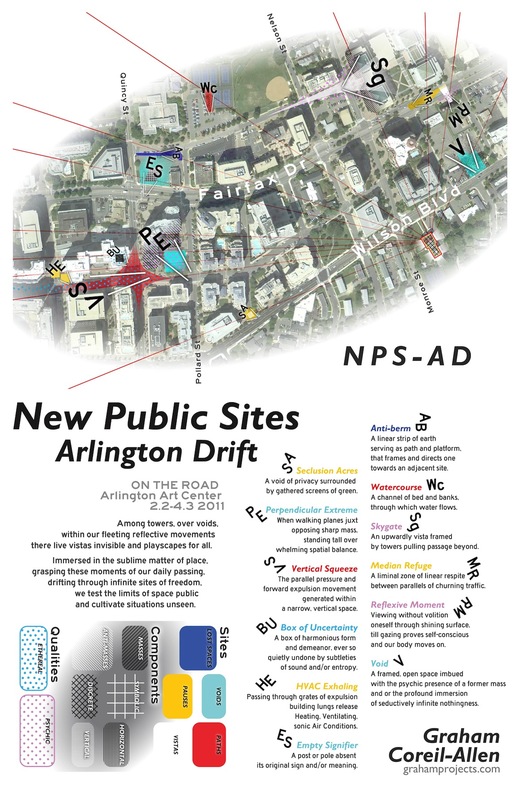 Additionally, on March 5th, 2011 I led a group Arlington Drift around the twelve, featured New Public Sites. 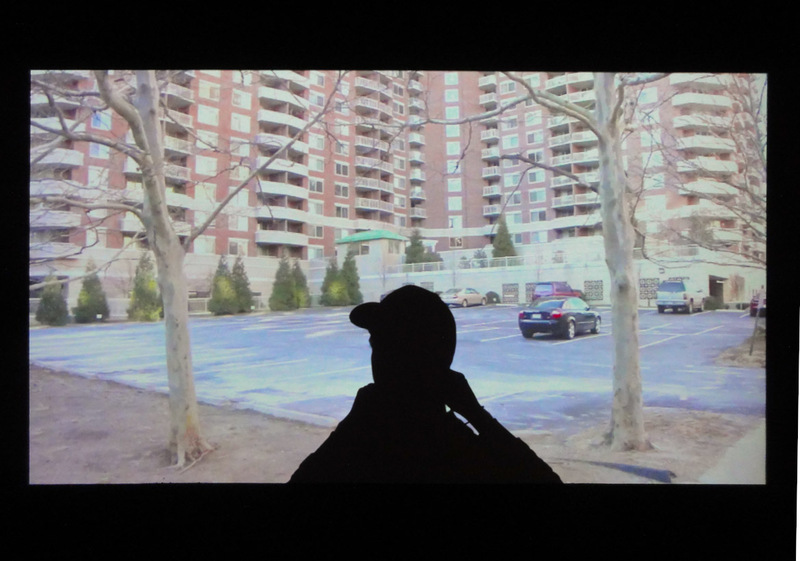 I invited participants to explore and experience the sites in new ways, including climbing on top of air vents, crouching below looming towers, listening to sounds of uncertainty, seeing government buildings cloaked in security, and watching ourselves within reflective surfaces. 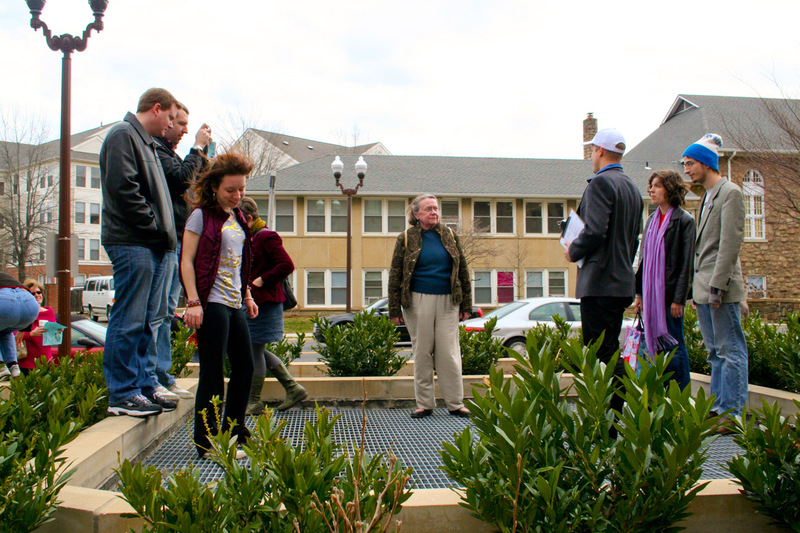 Participants also offered their own knowledge on the area, including background stories of undead condo projects and underground rivers. 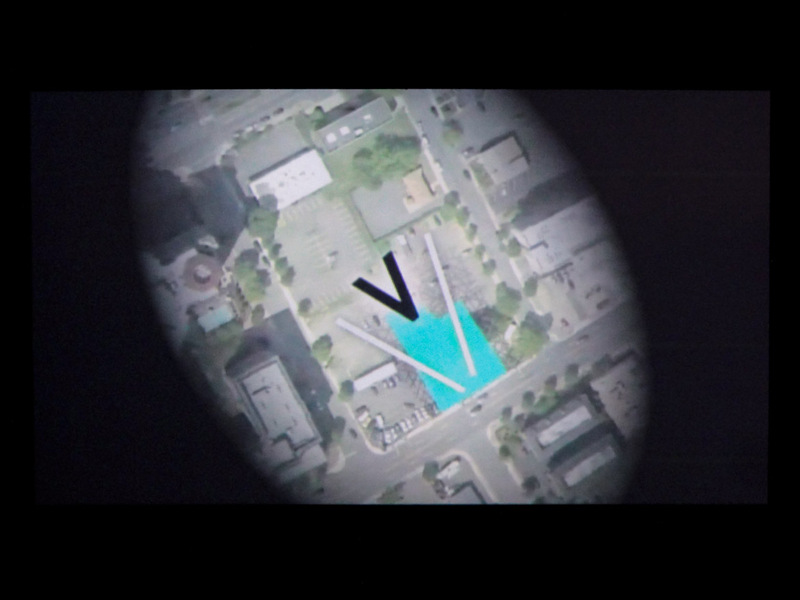 Our floating zone of radical pedestrianism continued with infinite freedom. 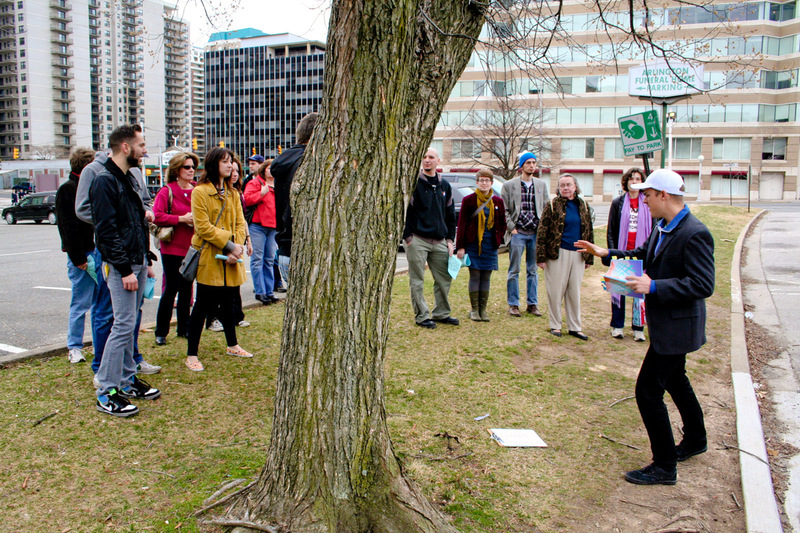 More photos of the tour on curator Jeffry Cudlin‘s blog.